juli 2016 | 274 blz. 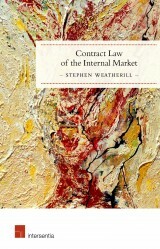 This book examines the European Union’s impact on private and especially contract law. It shows how the European Union’s founding Treaties grant it in principle only a limited competence in the field, but how in practice the European Union’s influence is broad and to some extent unpredictable.